On this edition of West Texas Talk, a conversation with political journalist and Lannan writer-in-residence, Matthieu Aikins. 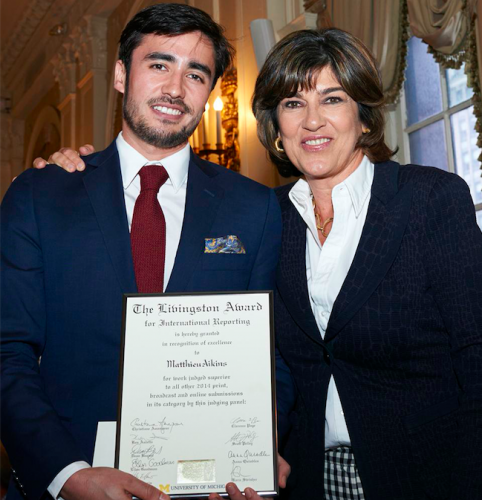 Aikins is writer who reports on South Asia and the Middle East for magazines like Harper’s, Rolling Stone, and the New Yorker – In 2008, Aikins traveled overland from Uzbekistan to Afghanistan, where he began his career reporting from the region. His half-Asian features and command of Persian allowed him to blend in as an Afghan, and Aikins began filing stories while traveling in local transportation and sleeping in roadside tea houses. His breakthrough article came in late 2009, with the story The Master of Spin Boldak, published in Harper’s Magazine, which exposed drug-trafficking by the Afghan Border Police in the town of Spin Boldak – That article was later used to train US military intelligence analysts on the region’s history.